Cotton was the most affected crop. Jonathan Krenek holds a soaked piece of cotton from his field on Sunday after Hurricane Harvey destroyed his crop in Egypt, Texas. Most farmers or ranchers along the Gulf Coast experienced some kind of loss related to Hurricane Harvey. Most lost crops, some had equipment damaged, and others may have been spared, but did what they could to help their neighbors who weren’t so lucky. It’s now becoming clear just how much Harvey’s wrath is costing Texas agriculture. The total damage amounts to $200 million. That’s the initial estimate from the Texas A&M Agrilife Extension Service. Parr Rosson, head of the Agricultural Economics Department at Texas A&M, says that of all the commodities affected by Hurricane Harvey, cotten took the greatest hit – approximately a $100 million loss, mainly in the upper Gulf Coast region. Livestock producers experienced some $93 million in damage, mostly to cattle. Rosson says these numbers are collected by talking with ranchers individually. “We understand the importance of doing it because we want folks to get compensated for their losses and we want it to happen sooner rather than later and we want to be as accurate as we can,” he says. Houston Police Say Crime Went Down During Harvey. Is Looting A Myth? 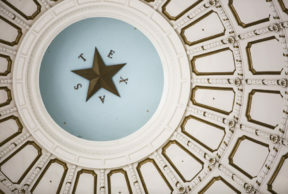 Are Panhandle Republicans Bucking The Texas GOP?